Originally, the UK trio Let’s Wrestle released their album In the Court of Wrestling Let’s in 2009 in England, but fortunately, those clever lads at Merge Records got a hold of it. They’ve re-released this record here in the United States, and every listener will forever be indebted to them for doing so. 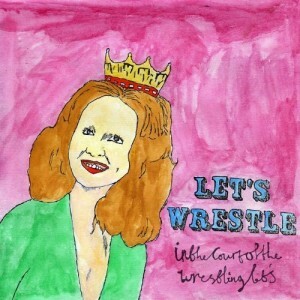 Let’s Wrestle is an honest band, bound by no pretension, built to cheer you on towards brighter days and generally just make you smile. “My Arms Don’t Bend That Way, Damn It” opens this sixteen song delight, and despite some rather somber lyrics, the jangling guitar lines and furious drum pounding indicate a narrator, and perhaps a band, pushing towards frivolous days. This happy assault on your ears always seems to carry more serious undertones, but in disguising it as they do, you can’t help but pogo along. You’ll absolutely love listening to “Tanks.” It definitely has a very British sound to it, as the bass bobs in line with the guitar work. Every bit of this song sounds utterly familiar, yet it stands out in a very distinctive manner, which recalls the early work of The Wedding Present. Similarly, the “ba, ba, ba” chorus that runs throughout “We Are the Men You’ll Grow to Love Soon” just sticks inside your head all day long. Once again, bass work is key to the simplistic formula here, propelling the song along when the chorus isn’t present. Don’t even try to tell yourself that you don’t already feel yourself growing to love this band. It seems like soon is now. 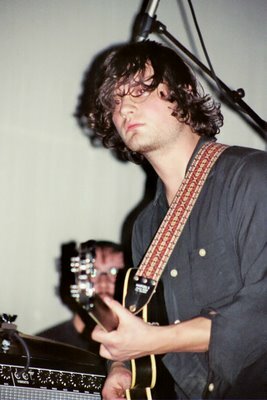 Apparently the band have an affinity for American pop acts of the past such as Buddy Holly and Roy Orbison. Such influences definitely bleed through here, especially on songs like “My Schedule.” There’s a certain swing you’d find in the records of your parents; you know, the ones they told you they first danced to when they were courting each other. But, the group has the knack to make it all their own, using a hint of tropicalia on “In Dreams.” While the subject matter is definitely a nostalgic allusion, you get the precise feeling of listening to this on a beach, if not for Gonzalez’s echo-effected vocal. A wondrous thing about In the Court of Wrestling Let’s is the fact that their is a youthful vibrance throughout, keeping the album from ever feeling stale. “I Won’t Lie to You” has a blistering pace to it, and although it does come across a touch raw, you’ll be drawn to the purity of a band pushing themselves to have fun. And “It’s Not Going to Happen” feels as if a bunch of British brats decided to borrow a touch or two from Ted Leo. This is meant as flattery, sincerely. It uses the stop-start formula, along with mono-syllabic moments repeated, sucking you in as it goes. For a debut record, you couldn’t really ask for a whole lot more. Not a song on will turn you off, and despite being a straight pop-rock album, you probably won’t skip a song. Sometimes the best records are the ones that present themselves honestly, destined to bring you nothing but joy. 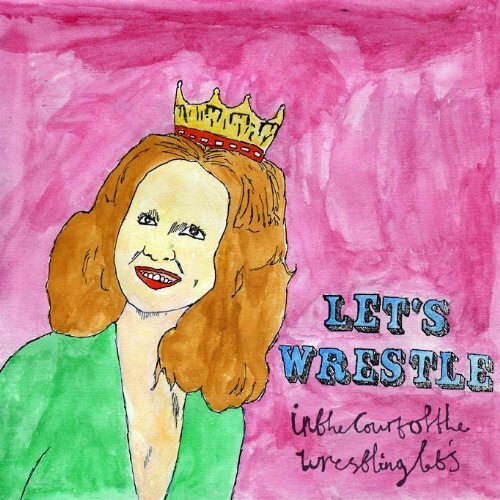 In the Court of Wrestling Let’s is precisely such a collection of songs, and one that Let’s Wrestle should be extremely proud to have created. We’ve heard the news about the possibly final LCD Soundsystem record that drops May 18th, but we’ve only been able to hear snippets of tracks. Luckily, 130bpm leaked the track today, and so now we have it up to offer you guys. 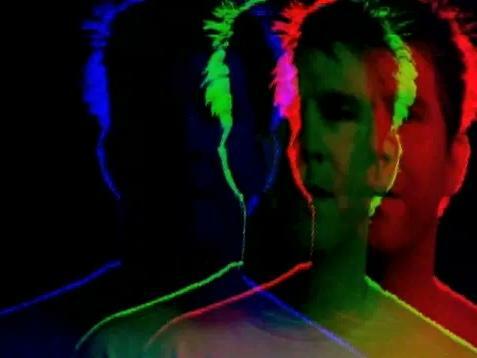 This song recalls hints of Bowie or Eno for me, but you be the judge. I know I like it, but we’ll see how the rest of the tunes turn out. I had heard of Beach Fossils before SXSW, but in this world of constant music exchange, I guess I glanced over them. That is until I saw their rocking set at the Force Field/Terrorbird Party on Wednesday. They definitely sounded a lot poppier than what I remember hearing, and you could tell they were having fun on stage, which is always a good thing! They recently recorded a studio session for Insound you can check out HERE. But, just in case you’re not into that, we’ve got a tune for you to check out as well that comes off their recent 7″ for Woodsist. After a stunning debut that won over many a doubter, She & Him return for their second album, Volume Two. You’d be hard-pressed to find someone who didn’t appreciate the first effort, at least to a certain degree, but would the yearning for a second helping of Zooey be nearly as fulfilling as the first run through? Honestly, it’s probably equally as rewarding as the first record, but that gets lost in the fact that it doesn’t find the group really pushing any limits. “Thieves” finds the duo transported to precisely the place where they left off, cashing in on our adoration for Motown girl-groups of the past or female country singers with lush orchestration. While you can see that this was definitely mapped out a whole lot better, with Ward’s raspy whisper singing along during the chorus, it’s not too far removed from the last release, something that may trouble some listeners. 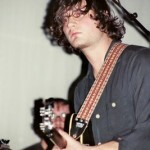 “In the Sun” displays Zooey’s vocal prowess. Perhaps it’s not the most perfect voice of all time, but you’ll find it every bit as enchanting as you did the first time you heard her sing while watching Elf. However, it has to be M. Ward who steals the entire show here; his guitar work cutting in and out of the song definitely makes this a whole lot more memorable than some of the tracks you’ll hear this time around. While the album opens with a more upbeat feeling, due mostly to predominantly featured piano, the warmer songs hold the bread and butter. “Me and You” is probably the most simplistic song, yet the arrangement of the song, accompanied with slide guitar makes it extremely powerful. 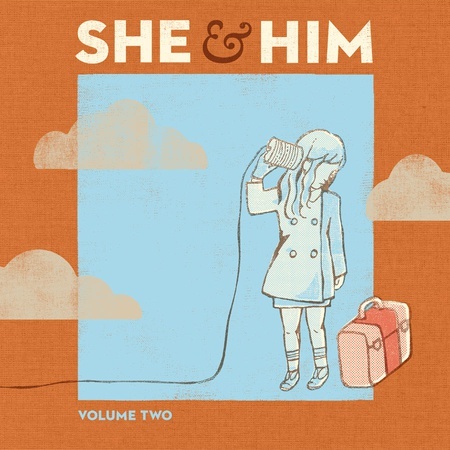 She & Him back this up with “Going to Get Along Without You Now,” a song that definitely has a hint of playfulness to it, but Ward’s simple strumming holds the song in place, never letting it stray to far into the realms of kitsch. Which is not how much of the latter half-of the album goes. Perhaps the redundancy of the piano work here makes it all seem a bit too childish. There’s not a lot of exploration on the keys, instead relying upon simple chord progression. While it was charming mixed in on Volume One, this time around it comes off as if the band has run out of ideas. You can contrast that with some of the simple guitar songs, like “Brand New Shoes,” which comes in near the end, and you can feel as if something just hits home with your heart when the piano is absent. In the end, “If You Can’t Sleep” closes out the record, doing so in a bit of a different fashion. The title definitely reflects the emotional appeal of the song, and the pacing, which makes perfect sense, as the band isn’t one to push boundaries too far. All in all, Volume Two leaves you with the feeling that She & Him didn’t want to stray too far away from their original work. That being said, a detractor here is that it doesn’t stray too far at all, and you get the feeling that this sits perfectly next to Volume One. It’s a pleasant enough listen, just one that isn’t nearly as exciting as the first time you heard Zoeey and Matt together. This morning news broke of “Bloodbuzz Ohio” being leaked all over the net. 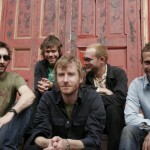 Being huge fans of The National, we wanted to run it, but it was a radio rip, so we hoped to bring you better quality. Fortunately for us, the band posted the song on their web site, probably hoping people would get to hear the recorded version. This song makes me really excited for the record, High Violet, which comes out on May 11th. The burgeoning music scene in Denton, Tx has long been known for releasing quality music; Tre Orsi is apparently going to be another one of those bands. Recently, they’ve gotten some press for their appearance on Casual Victim Pile compilation by Matador, but Devices + Emblems gives the group a more definititve sound. From the onset of this album you can tell that there is a brooding sense of post-punk that lies beneath this record. Repetitive angular guitars seem to drive the opener “Manumission” prior to the climactic break down that kick starts the rest of the number. But, it’s “Engineer” that will undoubtedly grab your ear as it did mine. For some reason, I hear a young J. Mascis wailing away on the guitars here, or at least in the vocals. Still, people will want to toss around Unwound references, which I suppose is relevant. One of the things that just gets me here, though never quite fulfills, is the increasing tension that is built by piling guitars atop one another in a repetitive fashion. But, while they could completely release the fury upon listeners, they use a bit of restraint–perhaps this a trait suggested by their producer Bubba Kadane. I love it all, but give me a little bit of a yelp, or just a nice solid scream. What’s amazing on Devices + Ebmblems is how enthralling the record can be with just the simplest songwriting. Nowadays, every record seems to need a touch of electronics or string arrangements ( I do like that stuff too), but a song like “Sargasso” desmonstrates that some bands don’t really need any of the tricks. It’s refreshing to hear a song that relies a great deal on cleanly produced vocals with just a hint of some off-kilter intonation to drive the song’s message home. Then again, perhaps this is just a record of nostalgic purposes. It’s clear cut in its goal, and it doesn’t deviate too much from where it began. You get guitars cutting in and out, along with moments that seem to build towards no ending. Yet, in using this approach, Tre Orsi strays away from every mainstay in independent music. They’ve got a stylistic approach that is all their own, but one that seems to echo every record in your collection from those teenage years. By no means is this meant as a condemnation of the group, as I definitely have an affinity for this music, and this album. 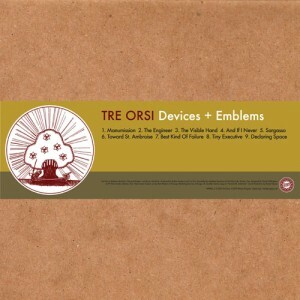 Devices + Emblems is a record that wears its influences openly, leading you to walk down memory lane with Tre Orsi. Still, something within this record is begging you to be pulled in (or it begged me), and you’ll find yourself enjoying every twist and turn of the guitar all the way until you arrive at “Declaring Space,” the last track. It’s here where it all makes sense, it all comes together; the past, the present and the future unite for a really solid record. Great news out of Scotland today! 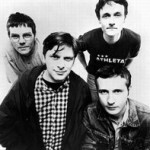 We’re proud to announce the return of Teenage Fanclub, who’ve taken a bit of time off. 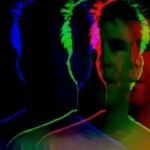 They return June 8th with Shadows via Merge Records. Listening to this single, it seems the band are at it again with their summery power-pop that shoots straight for the heart, or my heart at least. Welcome back fellas. 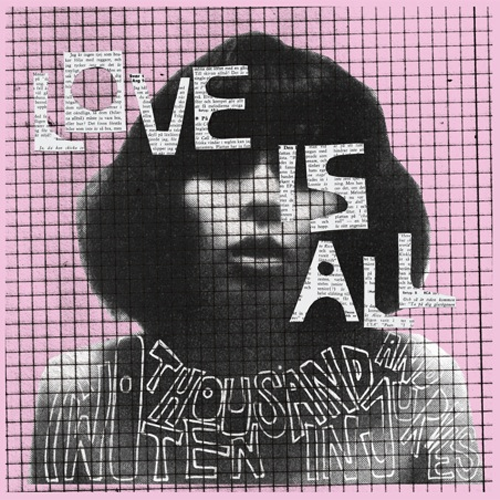 You have to have hidden under a rock to miss the last two releases from Love is All; if you were hiding, you missed a ridiculous amount of boisterous pop tunes. Now, the group has returned with their newest work, Two Thousand and Ten Injuries, which shows a bit more experimentation and a shift in direction. One things for sure, nothing is as joyous as listening to this group when they’re at their best. Once this record kicks off, you can definitely tell that Love is All is no longer in the same place, as the blistering pace has been slowed back a bit, revealing a little bit more clarity in the songs. 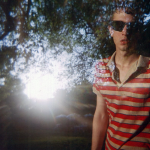 “Bigger Bolder” is the first tune, and you can tell that more time was spent on the guitar work, which seems to reveal a hint of nostalgic garage rock. As a long time fan, “Never Now” is a winner. It’s not nearly as dense as anything in their past, which allows for the playfulness in Josephine’s voice to break through. In the past, the cacophony often overpowered the pop element, but here empty space is not being filled, so you get a more concrete song pushing through. But, one of the things that Love is All have continued to push is the bubbly dance tracks that seem to blur the line with discordant guitars. “Less Than Thrilled” has a guitar line that sounds an awful lot like U2 guitarist Edge, but wraps you up in its bouncy bass hooks. “Dust” also brings about that catchy bass work in the beginning, but here you see the band reverting to their old tricks, feeding saxophone into the skeletal backbone of the tune. You’ll find yourself loving the drum circle moment near the 2 minute mark just before the band marches you into the concluding moments. The thing that makes Two Thousand and Ten Injuries such a strong effort, and one that might exceed their prior work, is that the band isn’t shoving every possible instrument into each inch of the record. “A Side in the Bed” sort of meanders along while Josephine cooly drapes her vocals over the drum beat. Barely audible guitar and saxophone work cut in and out of this track, where as the group would have filled this song to the brim in the past. Closing the record in this manner also works to the advantage of the quintet, as you’ll find them ambling during “Take Your Time.” This is the first time where I’ve felt an emotive quality be created from the group rather than just sheer joyous noise. I like it both, but it makes listening to the entirety of this album much more gratifying than the quick bursts that you might have found on something like Nine Times That Song. It’s refreshing to see that Love is All seem to have made it out of the possible rut they could have found themselves in after their first two releases. 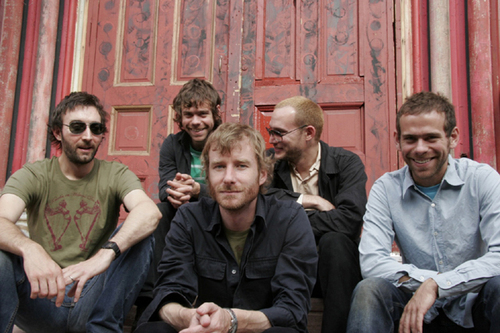 Two Thousand and Ten Injuries shows the band experimenting with different song construction, allowing for emotional releases that often evaded older efforts. No longer do they need to beat you over the head with energetic playground fist-pumping, instead choosing to let you relish in more complex, and complete, songs.